What is SFTP? SFTP stands for SSH File Transfer Protocol (SFTP) and is a method of secure file management for your website. In this tutorial, we’ll cover why SFTP is a useful website management tool that you need to know and understand to take control of your website. To understand SFTP, it’s helpful to first cover FTP. FTP (File Transfer Protocol) provides a way to move files from your local computer to your website’s server. However, FTP is not a secure file transfer method and malicious attacks often target FTP. SSH File Transfer Protocol (SFTP) is a secure file transfer protocol similar to FTP. SFTP performs the same functions as FTP over a Secure Shell (SSH) connection. Because SFTP utilizes an SSH connection, using SFTP gives you an added level of security while managing your website’s files. Just like FTP, you can use SFTP with a desktop FTP client. 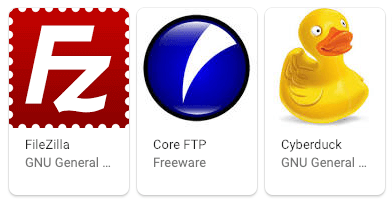 Most FTP clients, like Filezilla, CoreFTP and Cyberduck, support SFTP. SFTP allows you to upload, download and update the files on your website. Many times, especially with WordPress websites, you’ll need an FTP client to make updates to files that are not editable via your WordPress admin dashboard, such as certain theme, plugin and core WordPress files. Note: Making edits to the files on your website comes with certain risks. Be sure you have a backup of your website before making modifications to website files. We recommend usign a WordPress backup plugin like BackupBuddy. To upload files to your website, you need to securely connect your local computer to your iThemes Hosting WordPress hosting account. You do this by downloading an FTP client. What is an FTP client? An FTP client is a software utility that establishes a connection between your computer and the server where your website resides. You can choose any FTP client you’d like as there are several great free and open-source FTP clients available. Some common FTP clients include Filezilla, CoreFTP and Cyberduck. If you have never used FTP before, using one of these clients will make the setup easier. Every FTP client has different download and installation instructions. Follow your normal process for downloading and installing software to your computer. 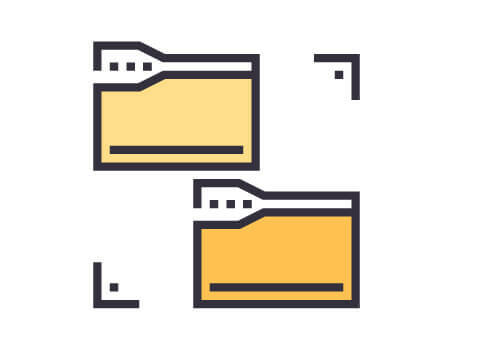 When you connect to your FTP client, you’ll need a few things to connect your computer to your website’s server, including your domain’s FTP server information and your FTP username and password. Note: You can locate this information from your iThemes Hosting Sync Panel, under the FTP information section. If you haven’t already done so, you may need to edit the FTP Password. This is randomly generated when you first create your iThemes Hosting account and so you will not have this initially. Once you reset the password, you can then use it to login in along with the server and username. Now that you have your FTP username, password and server, open the FTP program of your choice. In this example, we’ll be using Filezilla, which has a quick connect option. Note: We recommend you use SFTP with iThemes Hosting by connecting via port 22. Enter your FTP server address, your FTP username, password and designate port 22 as the connection port. Then click QuickConnect to start your FTP session. Once you’ve opened an SFTP connection to your server, you’re all set to start uploading the files you need. We’ll be using Filezilla to demonstrate this, but most FTP clients are simple drag and drop interfaces. In this example, we’ll upload files to the web/content directory, but you can upload files to any directory you need and have access to. 1. On one side of your screen, you’ll see a listing of directories and files on your local computer. On the other side of your screen, you’ll see a list of directories and files for your iThemes Hosting. 2. Locate the files on your local computer that you want to move to your website. Then click and drag the files to the web folder on your server. Depending on how large your files are, it may take a little bit of time to transfer the files. 3. All done! When you are done uploading files, be sure to disconnect from your server. iThemes Hosting is simple yet smarter WordPress hosting. Designed especially for WordPress website admin tasks with a hosting control panel that’s more like a personal website assistant.